“2 AM isn’t a place, it’s an emotion,” a night blogger once said on tumblr. And then others replied and pointed out that 2 AM isn’t a place at all, and yet others added, “That’s because it’s an emotion.” I was not that particular night blogger, nor do I know him/her personally, so I cannot say whether the use of the word “place” instead of “time” was a mistake or a philosophical statement or a decision based upon the aesthetic sound of the sentence. 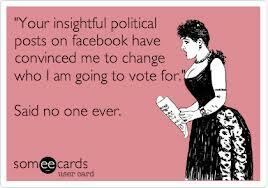 But I do know that the statement as it stands is true. 2 AM isn’t a place. It’s an emotion. It is considered typical to sleep at night and to be awake during the day. 2 AM is not a time for typical people; it is a time for people who have odd schedules, whether by choice or because they genuinely like it better that way. 2 AM is a time when there are few sound waves in the air, but a great many metaphorical sound waves over the internet. 2 AM is full of ramblings that are either ridiculous or profound, and sometimes both. 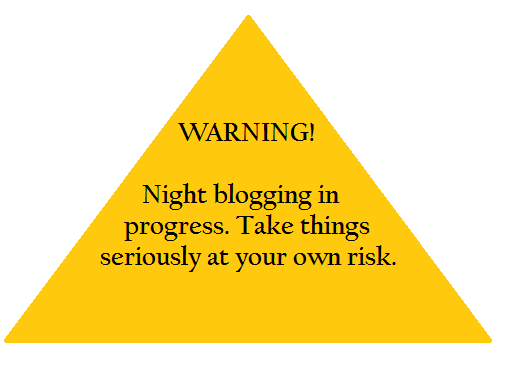 At least online, 2 AM belongs to the night bloggers and the overworked students, two groups of people who are (or at least should be) notorious for blending extreme genius and utter nonsense in one pithy remark. At 2 AM, the internet is the only way to express the thoughts that run through the mind of the fatigued and overly creative mind of the night blogger. At 2 AM, the real world doesn’t exist, and the internet is all there is. At 2 AM, a blinking cursor on a computer screen or a page full of densely packed words offer greater possibilities than anything that a night blogger ever gets to see in the daytime. Thoughts don’t count for much if they can’t be formed into letters and words, and they count for nothing at all if they are formed into spoken words that are forever gone as soon as the sound waves fade into the oblivion of the motionless air which fills the place that we call Real Life. But on the internet, a fleeting random thought can be preserved in visible form so that fellow night bloggers or tomorrow’s day bloggers can see it and be duly amused by its absurdity or impressed by its profoundness or confused by its randomness. I myself am not known for the kind of posts that show up around 2 AM, although I am occasionally responsible for a nonsensical insight that may or may not be worthy of remembering. One of the more recent of these (although it occurred well before 2 AM) is the concept that real life is nothing more than a frame narrative for everything that one reads or writes. This may perhaps be more true of my life than most people’s lives, especially this semester, since I am taking a class that involves reading five to seven YA novels a week, which is rather a lot of fiction reading when you’re a full-time student who also has a job and also feels compelled to find some time and mental effort for other reading and writing in addition to schoolwork. But the fact remains that many people, especially among the demographic that is most likely to be on tumblr in the middle of the night, spend much of their time and conscious thought on fiction, whether in the form of novels or television or other mediums. And I would argue that many types of nonfiction should also be taken into consideration in this matter, because non-fictional narrative prose often resonates in a reader or viewer’s mind in the same way that fiction does. It seems to me that it is no exaggeration to say that our lives are largely dominated by stories that are not our own. As any avid reader or writer knows, the frame narrative is never the important or interesting part. The good bits of the story are always saved for the innermost tale. The frame narrative is simple and straight-forward and sometimes quite dull. If Real Life is a frame narrative, it sadly does a good job of following this standard. Some people claim that the enjoyment of fiction is a form of escapism, and I think that this is entirely true, but not quite in the way that they mean. 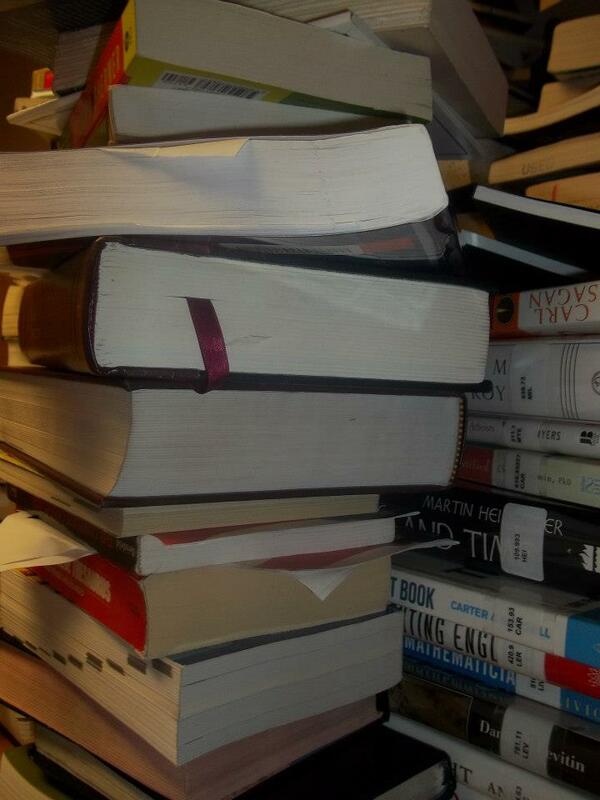 An avid reader is not completely ignoring his or her own life. An avid reader is using the fictional lives of others to justify the fact that his or her own life is too empty and simple and straight-forward and dull to have much of any significance unless it is simply a framework for which other stories can be metaphors. But 2 AM is when the frame narrative of reality goes on hiatus. Typical people use this opportunity to sleep. They spend many hours lying perfectly still and resting their minds so that they can wake up in the morning and spend the next day of their real lives doing all of the real-life things that they think make their real lives important. But those of us who are awake at 2 AM, whether because of homework or because we like 2 AM, experience a view of the world that normal people miss. There comes a time of night when reality pauses itself and its place can be taken by fiction or by rambling words of incoherent wisdom typed on a computer screen by a fatigued night blogger who didn’t even necessarily mean it the way it sounded. 2 AM isn’t a place, it’s an emotion, and like other emotions, it is exhausting and incapacitating if it is felt too strongly, too frequently, or for too long a period of time. I myself would prefer to be asleep at 2 AM if my life allowed for that to be an achievable goal. But when I am awake at 2 AM, it occurs to me that people don’t know what they’re talking about when they spout cliches about living life to the fullest. Living life to the fullest doesn’t mean going out and doing crazy, exciting things. If that’s the way you’re looking at it, you’re forcing yourself to choose between craziness and normality. Living life to the fullest means taking advantage of the wondrous opportunities offered by books and the internet to experience excitement even while your own real life is filled with the mundaneness of not being the sort of person who goes out and does crazy, exciting things. 2 AM is where you can have it both ways. 2 AM is where it’s crazy and exciting just to be conscious and to have the wonderful ability to preserve your conscious thoughts in written form or to experience other people’s written thoughts without being interrupted by reality. 2 AM is where the frame narrative meets the cooler inner story because there isn’t any need to keep the two completely separate. 2 AM is where things don’t need to make sense because sense isn’t the most important thing around here. Come to think of it, maybe 2 AM is a place after all. I took linear algebra my last semester of college. On the day of the first exam, the professor entered the classroom and rhetorically asked us how we felt about the test, and the guy behind me said, “I can’t express my feelings in reduced echelon form.” He doesn’t know this, but I later quoted him on tumblr. It was one of my most popular tumblr posts of all time, partly just because it sounds really deep and partly because someone who saw it came up with the brilliant idea of Echelon Poetry. I really wish that had caught on, even though I didn’t think much of the way some people interpreted that idea. Arranging words in a triangle is not the same as putting words in echelon form. I’m not sure how one would go about putting words in echelon form, but it fascinates me to imagine that there is a way. But even if we are talking about actual matrices rather than poetry, I have an inclination to want to believe that it ought to be possible to describe emotions in reduced echelon form. 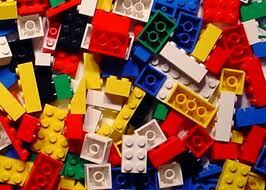 There ought to be a way to notate feelings and then perform mathematical procedures to make sense of them. My last attempt to do so lasted only two days, because there were just so many difficulties involved. How many different kinds of emotions are there? Is humor an emotion? What should the numerical scale be? One to ten? One to twelve? One to eight? One to six? Sixteen point twelve to thirty-nine and a half? Should the arithmetic be done in base ten or some other base? Should I use standard numerals or invent my own form of numerical notation specifically for the purpose of this exercise? Is there any logical reason to do so, or am I only considering that because I want my matrix to be nonsensical and enigmatic to everyone except myself? And perhaps most importantly, when I do the math and find an answer, what will that answer actually mean? As it turns out, it’s a major inconvenience to carry around a notebook and commit to writing numbers in it every four hours. I could have changed my system so that I didn’t have to collect data so frequently, but I felt like that would compromise the accuracy. Between that inconvenience and the fact that I didn’t actually have any useful information to gain by proceeding with this plan, I ended it. But that doesn’t mean I won’t try again at some point. Maybe I’m just strange, but I find it horribly frustrating to be incapable of quantifying feelings. There are so many things in life that can be accurately and thoroughly described by little numbers written in little boxes. Those numbers are knowledge and power and safety; not only do they convey information, but they allow you to assume that the thing being described by those numbers is subject to all the normal rules of mathematics. But if something can’t be described in numbers, then it’s unclear what the rules are. Once, I spent several weeks keeping track of my feelings on a one-dimensional scale from one to ten, while simultaneously assigning a numerical value to every noteworthy event in order to determine how much of an impact it should have on my mood. The point was to determine whether or not my mood was a logical and objective response to the events of my life. As you can probably guess, this experiment also ended mainly because it was absurdly time-consuming. But in the meantime, I noticed that, interestingly enough, my actual feelings corresponded very closely to what they should have been if they were in fact an objective response. This trend quite surprised me even though it was what I had hoped to discover. As far as I can tell, there are three possible explanations. One is that I took such a subjective approach to the whole project that even the numerical values I assigned to events was determined based upon how I felt about it at that particular time. That is admittedly very likely, but given the fact that I made sure to keep those values constant when an event re-occurred, it would seem that the effects of this bias would have decreased over time, which wasn’t what my numbers indicated. The second possibility is that it’s actually true that my feelings are a rational and quantifiable response to external events. I’d like to believe that, but it seems extremely far-fetched. The third possibility is the really fascinating one. Maybe, the act of trying to quantify feelings is therapeutic in the sense that it actually regulates emotions to the extent that they actually do begin to function in a completely logical way. Maybe, by quantifying one’s emotions, one can actually make them follow an algorithm. Whether the second or third of those possibilities is the correct answer, that’s a good reason to work towards the goal of finding a way to quantify feelings. But the fact remains that it’s mathematically ridiculous to do so, at least not without somehow taking neurological factors into consideration, allowing for differences between different people, and using an extremely well-informed psychology-based rationale for every aspect of the method of quantification. In other words, such an undertaking is well beyond my capabilities. I am forced to live with the annoying and frustrating reality that I cannot quantify my feelings. A number of years back, I read something in the newspaper that has stuck with me ever since then. Unfortunately, I don’t remember when or exactly where I saw it, so I can’t properly cite it. I don’t even remember whether it was a review or an opinion piece or a column, but it was about The Da Vinci Code by Dan Brown. It began by quoting the opening sentence of George Orwell’s 1984, “It was a bright cold day in April, and the clocks were striking thirteen.” Although there’s nothing unrealistic or fantastical about the idea of a clock that doesn’t start over at twelve, it’s just jarring enough to alert the reader to the fact that the story isn’t set in the real world. George Orwell is introducing a fictional reality. It isn’t characterized by magic and mythical creatures, but they count hours slightly differently than we do, so we are aware from the outset that there is a disconnect between the book and the real world. As the book progresses and the reader gradually learns about the historical events that were made up for the book, the reader remains conscious that those facts are part of the story. The Da Vinci Code, the newspaper writer said, lacks this subtle acknowledgement that it’s not based in reality. And unfortunately, the result is that many people believe the alternative historical facts that were made up for the book. My teenage self found this point to very profound even though I hadn’t read either 1984 or The Da Vinci Code at that point. But I remembered that statement last winter when I did read 1984 and again this autumn when I did read The Da Vinci Code. 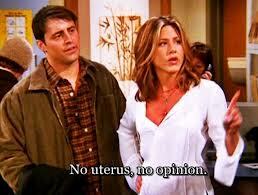 And I still think that it’s a significant point. It seems to me that Orwell’s 1984 is actually considerably less fanciful than The Da Vinci Code. 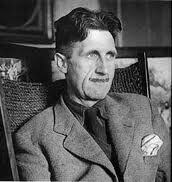 The historical facts that Orwell fabricated were, from his perspective, near future. The historical facts that Brown invented are distant past. As I indicated in this blog post from last year, I think that Orwell’s imagined version of the 1980s was a fairly realistic possibility of the direction that the late twentieth century could have taken. When it comes to Dan Brown’s fabricated history, it doesn’t matter whether or not his facts are realistic because he wasn’t guessing about the future; he was writing about own version of historical events that have already happened. I really enjoyed reading The Da Vinci Code. Both as a recreational reader and as someone with a degree in English, I thought it was interesting and well-written. The plot is exciting and engaging, the characters are believable and likable, and there are a number of interesting themes and motifs. 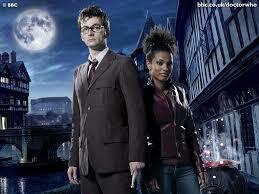 An additional appealing factor is that it involves historical details from a variety of time periods, which gives it the tone of a time-travel story even though most of the novel takes place in a single night. It’s highly intellectual for a sensational bestseller, and it’s very fast-paced and eventful for a novel that is essentially about historical research. Not only is it a gripping page-turner, but it raises the kinds of intellectual questions that leave you thinking long after you finish the book. What is the relationship between a symbol and a symbolized idea? If a symbol needs to be decoded, does that make it more meaningful or less meaningful? When it comes to ancient artifacts, is it more important to preserve something or to bring public awareness to it? What is it about human nature that makes us believe that secrets are meant to be discovered and revealed, and is that an impulse that should be followed? From an academic perspective, is it more important to debunk mistaken beliefs or to allow the continuation of a historically rich religious tradition? But this book has raised other issues that aren’t about the questions and experiences of the characters, but rather about the relationship between the author and the reader. Dan Brown’s goal was to create a fascinating story with religious themes, and in that, he succeeded. It seems to me that he also was deliberately expressing his distaste for religion in general and Christian beliefs in particular. He succeeded in that, too. In the process of writing a novel that has sensational appeal, raises the intellectual and academic questions that he wants to bring to readers’ minds, and expresses his negative views of Christian theology, he alters historical facts. This is something that fiction writers do all the time to make a point or to tell a good story. Historical fiction often tends to be wildly inaccurate because the writer is not only trying to bring history to life, but also to tell a story that is interesting and original. Since readers know that fiction is, by definition, made up by the author, it isn’t necessarily immoral for an author to alter historical facts in order to tell the story that he or she wants to tell. But does the author have a responsibility to make sure that the readers know which facts are made up? Is it immoral for the author to put fabricated details into the mouths of academically respected characters? Is it wrong for the author to write about altered versions of actual people and organizations? In general, I’d have to say that the answer to the above questions is no. An author who writes a fictional story shouldn’t have to be responsible for ensuring that readers don’t accidentally believe that the story is true. If it’s okay for Margaret Mitchell to tell us that there was a woman named Scarlett O’Hara who lived in Georgia during the Civil War, if it’s okay for people like Thomas Malory and T.H. White to tell us stories about a medieval king named Arthur, if it’s okay for the BBC to tell us that there’s a man from the planet Gallifrey who travels through space and time in a blue box, then it should be okay for Dan Brown to tell us that there was a man in first-century Judea named Jesus who was married to a woman named Mary Magdalene and that religious leaders have since then gone out of their way to keep this union a secret. 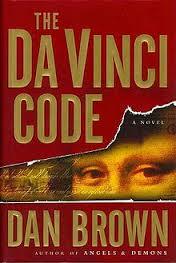 But there are a couple things that make the situation regarding The Da Vinci Code a little different. One is that Jesus wasn’t just any historical figure; he is the basis of a large religious tradition that Dan Brown is undermining and discrediting when he makes up stories about Jesus that he hopes readers will believe to some extent. I gather that Dan Brown himself is not a Christian and that he doesn’t believe in the divinity of Jesus, so from his own perspective, it’s no more heretical and immoral to fictionalize Jesus than it is to fictionalize any other historical person. But even if we are to take this issue from Dan Brown’s point of view and leave Jesus’ divinity out of the debate, it seems to me that it’s still awfully irreverent and insulting to write a story that knowingly and deliberately contradicts other people’s faith while presenting the fabricated details in a way that attempts to persuade readers of their legitimacy. I know that Dan Brown himself has said that The Da Vinci Code is just a story, but he makes all of his characters academic experts and cites imaginary sources that sound real. It would be an interesting project to go through the book and meticulously factcheck each piece of information that is presented as a nonfictional fact. It wouldn’t surprise me if some authors have actually done so, since I know that The Da Vinci Code has sparked a phenomenal amount of discussion. I do know of one book that dedicates a fair amount of time and space to explaining where Dan Brown got his ideas. 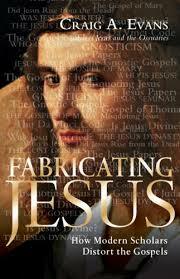 (The book is Fabricating Jesus: How Modern Scholars Distort the Gospels by Craig A. Evans, and I would recommend it. Although it isn’t absolutely unbiased, it’s less biased than most for-the-general-public books on the topic. He isn’t deliberately making up sensational theories for the sake of making a name for himself, which is what some of the “modern scholars” who he mentions have done.) Interestingly enough, not all of Dan Brown’s made-up facts are actually original. It seems that he did do at least a little research on some of the most extreme ideas that historians have suggested about Jesus and the early church. Evans lists some of the fabricated facts that Dan Brown uses and points out the lack of credibility in those sources. In theory, as a fiction writer, Dan Brown has the prerogative to pick a few radical and bizarre theories and create a story in which they are true. But this makes his misinformation particularly insidious, because it gives him the ability to frame his imaginary facts in a scholarly context. Admittedly, there’s a very fine line between making up facts to tell an interesting story and making up facts that fool readers, and it has more to do with the readers’ perception than the author’s intention. But I do think that Dan Brown went too far. I lost count of how many times while I was reading The Da Vinci Code that I suddenly realized that it was responsible for the spread of a blatantly untrue fact that I’ve heard people say time and time again. (For instance, it’s absolutely false that the gnostic gospels were favorable towards women and were hidden by the Roman Catholic church because the popes were sexist. The four gnostic gospels that I have read are far, far more sexist than anything in the Bible.) People don’t even need to have read The Da Vinci Code themselves to have heard and repeated these falsehoods. Then these things get passed around as fun facts or as ammunition against Christianity, and few people are going to feel the need to look them up and see if they’re accurate. The problem here isn’t the fact that someone wrote a book that isn’t historically accurate. The problem is that our culture enjoys debunking Christianity so much that there are people who are willing to believe anything they read in a fictional book that backs up their arguments, even if they are otherwise intelligent people wouldn’t take that approach to any other topic. Although I am suspicious of Dan Brown’s motives in writing such a book, I certainly wouldn’t argue for censoring his work because of the factual liberties that he takes. But I do think that the general reader population ought to keep in mind that Dan Brown is not a theological expert or a historical expert, that his religious-themed writings are fictional, and that his version of Jesus is not the Jesus who actually existed and who is the foundation of Christianity. When I little, there were certain movies that my family made sure to see every single year around Christmastime. 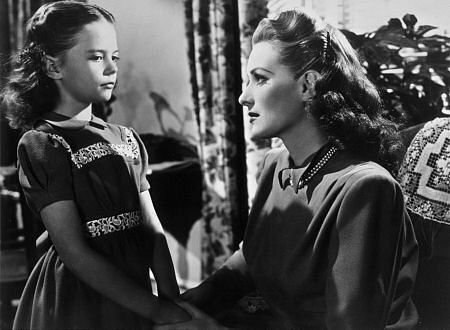 Many of them were cartoons, like How the Grinch Stole Christmas and Rudolph the Red-Nosed Reindeer, but they also included others like It’s a Wonderful Life and Miracle on 34th Street. Of course, as the years went by and my siblings and I got older and our schedules got more complicated, it became harder and harder to find time to watch all of those movies in just a few weeks, especially because it is obviously impossible to allow Christmas movies to interfere with other important things like Star Trek night. 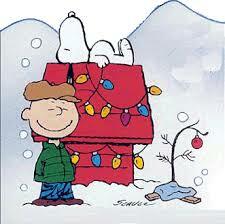 Then, in the past few years, there have been other movies that I have come to associate with Christmas. Of those, Elf is the only one that is specifically a Christmas movie. The others are only Christmas movies to my mind because of personal connotations, so I have left them off of this list. (Even Jesus Christ Superstar and Passion of the Christ, despite the fact that it is valid and theologically meaningful to associate the non-nativity events of Jesus’ life with Christmas) There are a few other movies that I had planned to include, but left off for various reasons. For example, I only have seen A Christmas Story once, and don’t remember it well enough to say much about it, and I personally don’t associate Sleepless in Seattle or Meet Me in St. Louis with Christmas even though a significant section of each one takes place on Christmas. With all of that being said, I have a list of eleven movies that I specifically associate with Christmas, that are typically categorized as Christmas movies, and that I have seen many times. I realize that pretty much any holiday-movie-lover will be able to think of several important ones that I left off of my list. But nonetheless, I would like to observe the continuance of this Christmas season (It’s still Christmas until Epiphany, y’all!) by stating my opinion of these eleven Christmas movies. This classic Christmas cartoon is a prime example of the anti-commercialization message that is so prominent in holiday movies. That message has become so common and so clichéd that it is almost a new form of commercialization, one that is used to sell movies and other forms of art rather than toys and the like. But that shouldn’t be held against this particular movie, which I think is more sincere than many true-meaning-of-Christmas stories. So, yeah, I like this movie. There are quite a number of different movie versions of Charles Dickens’ A Christmas Carol, but this is one of the earlier ones and it’s the one that depicts the ghost of Christmas future most creepily and it’s the one that includes Patrick Macnee in a small role, and Patrick Macnee went on to be John Steed in the awesome 1960s British show The Avengers, so yes, this is the best movie adaption of A Christmas Carol. Also, it’s my understanding that it’s a fairly close remake of the 1935 movie Scrooge, which I believe is the original movie version. I actually hadn’t seen Elf until just a couple years ago, by which time it was already considered a holiday classic, at least among people approximately my age. (Technically, 10 years plus a couple months isn’t old enough to be a classic, but pop culture ages very quickly among frequent internet users.) The basic plotline is that Buddy, a human who has been raised as an elf, travels to New York to meet his real father and attempts (with little success) to function in human culture. It’s not the most original movie idea ever, but it’s one that is practically guaranteed to be funny. Humans love seeing their lifestyle parodied by viewing it through the eyes of a character who is likable, but not the brightest banana in the bunch. I think that Elf is an entertaining movie and deserves its position as a beloved Christmas film, although it should perhaps be pointed out that there’s not much that can be said about it from an intellectual perspective. But in that respect, it certainly isn’t any worse than the plethora of Christmas-themed chick flicks and animated Christmas movies. 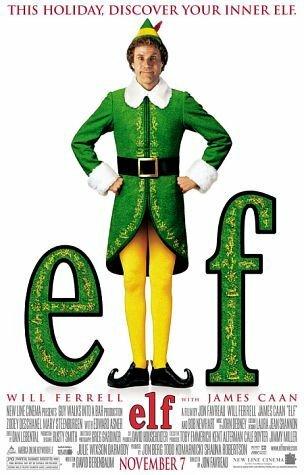 Elf deserves some recognition for the fact that it is an entertaining, feel-good Christmas movie that falls into neither of those categories, even though it actually does include a romantic subplot and the characters are about as cartoonish as a character in a non-animated movie can be. Also, it has an incredible cast. I mean, Mary Steenburgen is from Back to the Future III, y’all. As far as I can recall, this was only among my favorites for one or two Christmases. It features memorable characters who are fun to quote and it has a hilarious antagonist, which are the most important criterion for evaluating the coolness of an animated movie, but the plot didn’t particularly appeal to me. And it’s way too sad. Christmas-themed television is supposed to be happy, and cool characters aren’t supposed to die on Christmas. Are you listening, Steven Moffat? It is with great regret and sorrow that I admit that I didn’t see this particular movie this Christmas season. 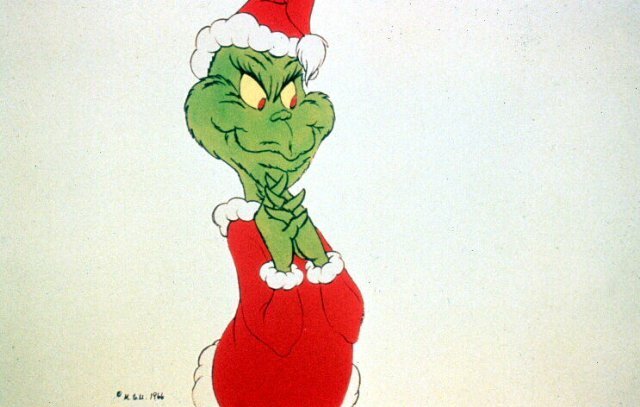 How the Grinch Stole Christmas is a very important movie. Pretty much every little piece of it is entertainingly quotable, and it contains two songs that deserve a place among everyone’s Christmas music. Granted, one of them is mostly gibberish and the other one is only Christmasy when you consider it in the context of the story as a whole. But seriously, if this movie isn’t a part of your Christmas nostalgia, you have missed out on something that everyone should have. This is probably the most famous of all Christmas movies. I get the impression that very few people have a neutral opinion of this movie; you either definitely like it or definitely dislike it. I definitely like it, although when I think about it, I can’t explain why. A lot of people think that it’s heartwarming and that it expresses a positive message about the value of each individual person, but I think it’s actually pretty depressing and discouraging. (If you want to read a bit of a ramble about why I think that, take a look at this blot post from last year) A lot of people think of it as a quintessential Christmas movie, but the storyline doesn’t actually require the story to take place on Christmas. If it didn’t involve a holiday, it wouldn’t have been as popular, but the basic plot would have been the same, so I don’t see that as a reason to like this movie specifically. I suppose it wins some bonus points for the likability of most of the characters and the believability of their lives. And part of my personal penchant for this movie probably comes from the fantastical and almost science-fiction-like nature of the alternate-world part, even though the characters don’t describe it as an alternate world. Those factors do give it some basis for its reputation, but I still can’t exactly explain what sets it so far ahead of so many other great movies. On a completely random note, I’ve always been intrigued by that bit at the end, where George tells Mary that she has no idea what happened to him, and she starts to say the same thing back to him. After watching this movie twenty gazillion times over the course of my life, I have had to conclude that she is simply referring to the fact that she has found out that the entire population of the town is glad to do whatever they can to help George in his time of need. But I want to think that she, like George, has had some abnormal and supernatural experience, and that the moviemakers deliberately left it up to our imagination to figure out what exactly happened to her. This one wasn’t particularly a favorite of mine. When I was younger, this was one that I was usually willing to miss if necessary. It’s a fairly short animated movie that leads up to a depiction of the scenario in the song. To be honest, I don’t even remember much of the plot except that I seem to recall that it’s actually pretty emotional; I think the little drummer boy was orphaned and enslaved, or something like that. I always have thought of this as a Thanksgiving movie rather than a Christmas movie, but it’s about Santa Claus and it ends on Christmas day, so we’ll count it as a Christmas movie for the purpose of this list. I enjoy it largely because I like the characters, especially Susan. But it’s really an awfully hokey movie. The basic point of the movie is to communicate the value of belief and imagination, but it links the two to such an extent that it equates not believing in Santa Claus with having a pessimistic attitude and an unhealthy inability to trust people. Of course, as in watching every movie, the viewers are supposed to suspend their disbelief and imagine that all of the characters are real, which, in this case, includes Santa Claus. Within this story, Santa Claus is a real person even though most adults don’t believe in his existence. But still, I would argue that either in real life or in a relatively lifelike fictional setting, a person can be practical and unimaginative without being cynical. This is a delightful movie except that it has bad music. That Silver and Gold song that the snowman sings is incredibly boring and adds absolutely nothing to the plot. A Holly Jolly Christmas is one of the most annoying Christmas songs of all time. I think it came in at #4 the year that my sisters and I actually made a top ten list of annoying Christmas songs, and it might have come even higher than that if I’d been making the list myself. Aside from the title song, those are the only two I even remember, so the others must not have been anything special, either. The best thing about this movie, of course, is the Abominable Snowman. That needs no explanation; Abominable Snowmen are automatically cool. It’s been quite a number of years since I’ve seen this one, but I recall that when I was little, it was one of my very favorites. It describes Kris Kringle’s early life, and offers a backstory for various aspects of the Santa Claus tradition. Also, the Winter Warlock was almost as cool as the Abominable Snowman. (There’s something about the genre of children’s Christmas television that automatically leads to awesome antagonists) And Burgermeister Meisterburger was pretty entertaining, too. The first time I saw White Christmas was probably around 2004 or 2005, and it doesn’t carry the same nostalgic connotations for me that it does for a lot of people. I’ve still only seen it a few times. My opinion is that it’s a fairly good movie that is fairly enjoyable, but it doesn’t especially stand out as a particularly great movie, either within the genre of Christmas movies or the genre of musicals. (Even though it does have Danny Kaye, and Danny Kaye is cool, y’all. 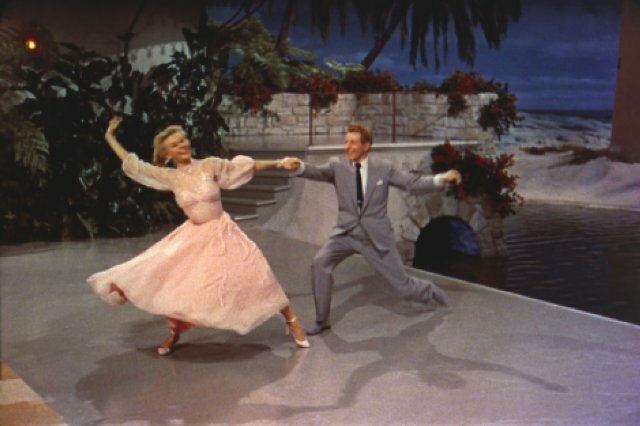 Also, I really like Vera-Ellen in this movie and I presume that I would enjoy seeing her in her other movies, too.) Probably my favorite part of it is the song and dance The Best Things Happen While You’re Dancing near the beginning. And that part of the movie has absolutely nothing to do with Christmas.